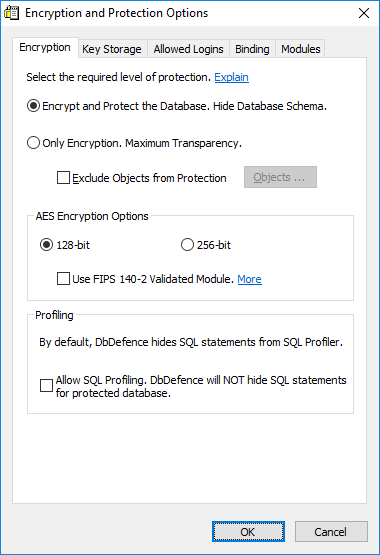 This mode provides encryption and additional level of protection for the database. In this mode you need to choose method to unlock the access to the database. This mode is set by default.